Frank Milner has been president of Tutor Doctor since 2007. The moment Frank learned about the model, he recognized its vast potential and was hooked. With a daughter who struggled with what he called “math meltdowns,” Frank understood firsthand the chief benefit of Tutor Doctor’s one-on-one model being that it ensures privacy for the student and addresses his/her specific needs. He also recognized Tutor Doctor’s unlimited growth potential, since education is one of the only segments that’s universally valued across nearly every culture and continent. Coming from 10+ years in tutoring franchising as well as working in the insurance industry and becoming known as the sales coach, Frank and his team outlined a strategy to cater to the growing demand for private tutoring by introducing the unique Tutor Doctor concept to new cities and countries around the globe. Following his success as a franchisee with two different franchise companies, and the development of an international distribution company in his early 20s, Dan co-authored the book “Why Not Me?” in 1993. The forward of the book was written by world-renowned inspirational speaker Dr. Robert Schuller, and endorsed by the likes of Mark Victor Hansen (of Chicken Soup for the Soul fame). The book became a national bestseller and launched the growth of a new publishing division marketing inspirational books, tapes and seminars and partnering with industry leaders like Anthony Robbins, Brian Tracy and Nightingale-Conant. Using his ability to foresee emerging trends and capitalize on them, in 1996 Dan wrote the book “Amazing Secrets of Profiting from the Internet” and founded WSI Digital. In 2006, Dan founded Franchise Equity Group - a private equity organisation whose mandate is to make investments in the development of high-growth brands in the education franchise industry. Its first acquisition was of Tutor Doctor. For over a decade, I have successfully owned and operated my franchise before ultimately selling as part of my planned succession. I then began working on the franchisor side of the equation. Coming from an operational background, I naturally gravitated to training and support, giving me the opportunity to assist new franchise owners in getting the traction that they deserve when starting their business. You only need three things to set yourself up for success – a proven concept – proven support and training team – and you! After truly understanding the importance of the “you factor” in business, I moved over to the development side of franchising to help people discover and evaluate franchising. My goal is to identify, support and provide the pathway to your future success in business ownership. Tim has been involved with franchise brands throughout his career, including being a successful franchisee for an international brand, where he was awarded Franchisee of The Year in only his second year of business. He brings extensive knowledge of small business ownership to his role in supporting Tutor Doctor franchisees - through the launch and continued growth of their business. Being entrepreneurial by nature, Tim is always looking for new income opportunities for franchisees as well as being able to offer expert guidance in key business areas - customer care, marketing, financial management and business planning. Tim brings a balance of empathy for the challenges of business ownership as well as a quiet determination to bring out the best from franchisees, helping them achieve their aspirations. Ruth Mullen is an Ontario Certified Teacher with experience in curriculum development, classroom teaching and as an early readers, physics and math Tutor. During the past five years, she has worked with various organizations that have allowed her to develop, enhance, test and lead training programs. Ruth is motivated by seeing other people grow and develop new skills. She demonstrates empathy, compassion and supports learners by fostering a fun and safe training environment that allows personal expression from each participant while ensuring the content is delivered. Remy has a passion for helping Tutor Doctor’s franchisees achieve success, for the students they serve and for their team. She has particular expertise and a solid track record in analyzing operations to increase their efficiency and streamline business processes to improve performance. She has an in-depth knowledge of corporate law gained through her work at Tutor Doctor and her previous experience in the Business and Regulatory Division of the Department of Justice (Government of Canada) and at one of Canada’s leading providers of financial services to the real estate and mortgage industries. Remy has completed her Certified Franchise Executive (CFE) Designation training with the Institute of Certified Franchise Executives. She is also a licensed Paralegal (P1) with the Law Society of Upper Canada. 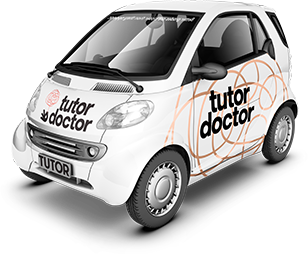 Tutor Doctor leads the way in one-on-one in-home tutoring with a service that is second to none in the UK market. This is the opportunity you've been looking for as an entrepreneur.